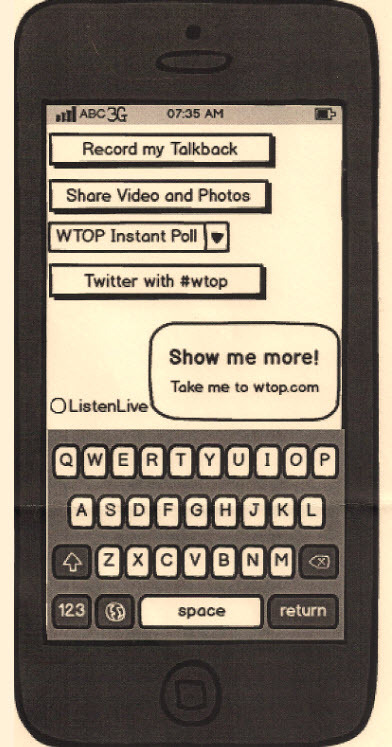 UPDATE (1/17/2015): WTOP’s new engagement app is available for download, in iOS or Android. Click here to see how the app is an easier alternative to VoiceMemo. So why aren’t any broadcasters acting that way? Most news bosses have read the headlines — more people are consuming news on mobile devices, so news organizations need to make their content easy to view on phones and tablets. Responsive mobile sites accomplish the important goal of ensuring a user can view and navigate stories and advertisements. Yet, all these organizations that unveil a new site and consider their “mobile strategy” done are missing half of the opportunity — to harness and harvest the audience’s infatuation with always having our phones in our hands, and our tough-to-quench thirst for having our say. Click here to read my entire PBSMediaShift post.